Eric has many excellences - air swimming being one of them. Another is details...Turns out the orchid I showed you Friday is actually mine. Well, was mine until Eric "rescued it" by taking it back to his workspace, thus "liberating it" from my negligent plant care regime. 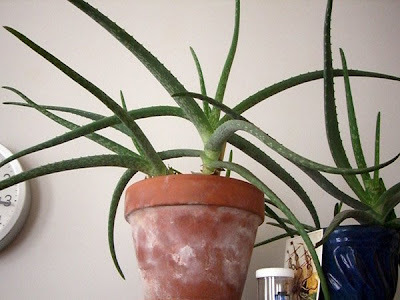 I promised him that I wouldn't use him as humorous fodder for the blog, and so to make it up to him I bring you some pictures of Eric's impeccably maintained house plants. 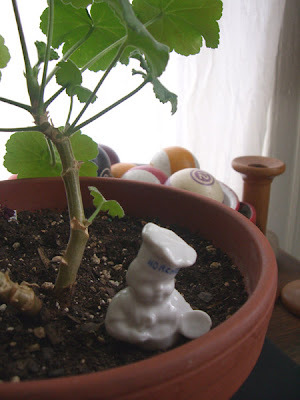 Exhibit B: Thriving Scented Geranium with Doughboy. 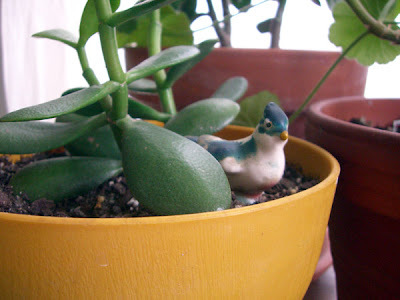 Exhibit D: Some type of succulent. 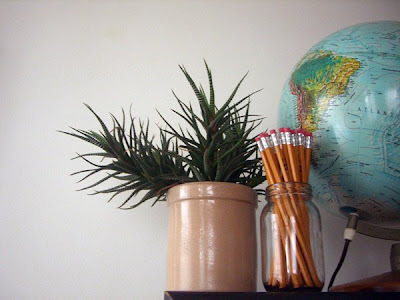 When the jar of pencils appeared here, I joked that he should go work for Real Simple.